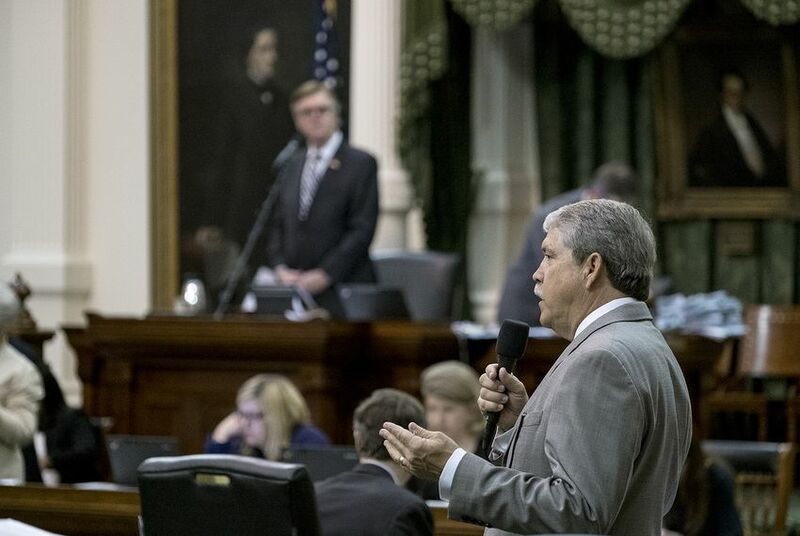 Meanwhile, in a last-ditch move, the Senate early Wednesday morning added part of its far broader version of the bathroom bill as an amendment to another bill, a move it will have to reaffirm later today. Echoing Patrick’s concerns, Taylor indicated he had turned in the necessary paperwork to request a conference committee to work on the “wording.” Patrick and House Speaker Joe Straus would have to appoint representatives from both chambers to try to reach a compromise on the controversial issue that has put the two presiding officers at odds throughout the legislative session. Some school groups have said the amendment is open to interpretation on whether it actually keeps school districts from accommodating transgender students beyond single-occupancy bathrooms. Shortly after Taylor confirmed his intentions, Paddie — who reiterated that his amendment is substantial — said he’d wait to hear the Senate’s specific concerns before speculating on a compromise or whether the House will agree to go to conference on the bill. With the clock ticking toward the last day of the legislative session, the Senate’s rejection could complicate efforts to avoid going into overtime. Patrick threatened to push for a special session if the Legislature didn’t approve one of two measures that were much broader than the House’s proposal. Both of those measures died in the House, where Straus has called the issue “manufactured and unnecessary” and has raised concerns about the economic fallout that could follow passage of bathroom-related legislation. SB 2078, which actually addresses school districts’ emergency response plans, was amended in the House with the bathroom language after Gov. Greg Abbott also threatened to call a special session on the issue where a more restrictive measure could prevail. Sunday is the last day for the Senate to concur on House amendments or adopt conference committee reports. Monday is the last day in the legislative session.